Still Dying on the Inside highlights the lack of action from successive governments to prevent deaths in prison. 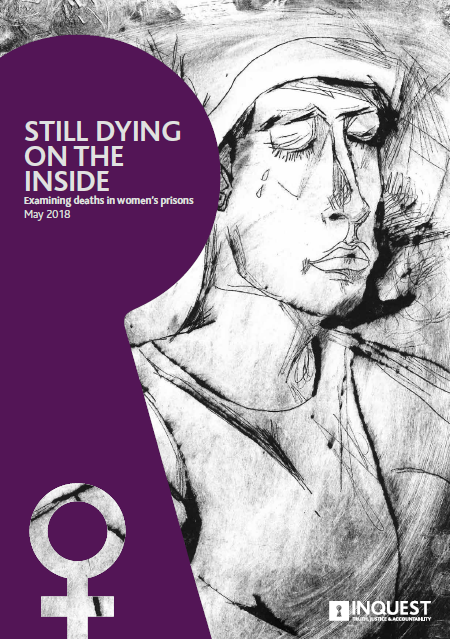 Ninety-four women have died in prison since the 2007 publication of Baroness Corston’s ground-breaking review of women in the criminal justice system. 2016 was the worst year on record with 22 deaths in women’s prisons. The report identifies serious safety failures inside prisons around self-harm and suicide management and inadequate healthcare provision. It also highlights the lack of action on recommendations arising from post-death investigations and inquests. Redirect resources from criminal justice to welfare, health, housing and social care. Divert women away from the criminal justice system. Halt prison building and commit to an immediate reduction in the prison population. Review sentencing decisions and policy. An urgent review of the deaths of women following release from prison. Ensure access to justice and learning for bereaved families. Build a national oversight mechanism for implementing official recommendations.